Stonehouse Lifestyles officially opened to the public on Monday 7 November 2011. The facility replaces the existing Stonehouse Institute, Library and Public Hall. The facility offers a new community hall with stage and state of the art sound and lighting systems. The hall is sub-divided to allow flexible use for smaller group activities and is supported by dedicated kitchen and bar facilities. The facility also has a range of visiting services and meeting rooms and also a youth area where local groups can meet or where the council or their partners can deliver services such as housing surgeries, benefits enquiries or health activities. There is also a coffee shop providing hot and cold drinks and a range of snacks and baking. Specialist facilities for adult day care users, which include group rooms, cinema room, arts and crafts room, multi-sensory room, quiet room and more, are available for community use outwith office hours. The facility also provides a Library which includes an Active IT area with six PC stations. 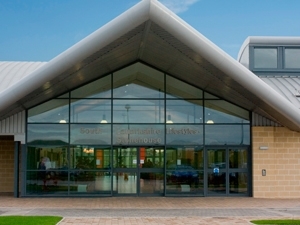 Sorry, but we have no upcoming events for South Lanarkshire Lifestyle Centre Stonehouse. 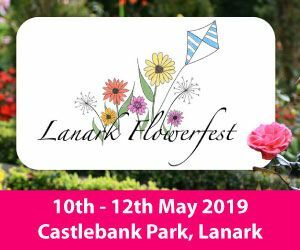 If you know of an event taking place at South Lanarkshire Lifestyle Centre Stonehouse or anywhere else in Lanarkshire tell us about it and we'll list it on the website, for free! Sorry, but we have no South Lanarkshire Lifestyle Centre Stonehouse listings available for Lanarkshire.